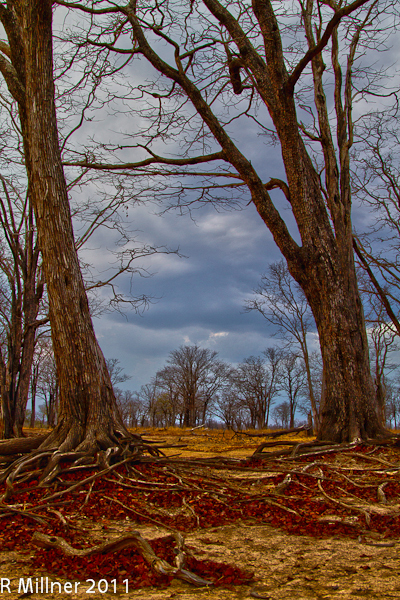 We are writing you LIVE from South Luangwa again, after an ever so busy rainy season. Personally it had been 200 days since I had left Kaingo at the end of October 2011. For the 3rd year, it was with a lot of yearning and exhilaration that I found my way back to camp a few days ago. Led by Derek, our hard-working staff has been back in the area since late April and has been enthusiastically at work renovating Kaingo Camp, setting up the photographic hides and making Mwamba re-emerge from the earth. As I write you these lines, we have three days left before our first guests of the 2012 season arrive in camp! The village dwellers say that the rains have been good, not too much to be destructive, but adequate for the crops. That is great news. 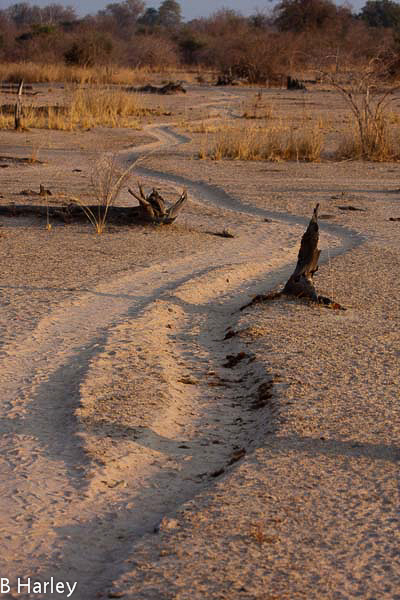 There were some late rains in March and early April, and this is still visible now, as a fair amount of water remains at the mouth of the Luwi River, which is a tributary of the Luangwa River – just south of us. The Luangwa River itself is also higher than it was last year (a particularly dry year) and the guides say that the lagoons inland are beautifully filled up. Later in this newsletter as we have some pictures from the rainy season to share with you. Derek, Jules and I have been kept busy in these past few weeks with the creation of the new brochure for Shenton Safaris. As expected, the project was an intense one filled with excitement and many revisions, but it also triggered a lot of emotion as we are all so passionate about our camps and what they have to offer. After long weeks of labor, we could barely contain our nerves while waiting for the final product to come out of the printer! We are delighted with the new brochure and we hope you will like it too. You can have a look at the e-version by clicking on the picture below. Another great moment of anticipation was the announcement by The Good Safari Guide of the various nominees for the 2012 Safari Awards. We were thrilled to find out that the large panel of judges had included Kaingo and Mwamba for a total of four of awards. They have changed the format so that the awards are now only given in November so we await the results. We anticipate our 2012 season to be a very busy one, with the number of reservations matching our best years ever. We are ready for it though, thanks to a fantastic team on hand eager to welcome our guests. Among a few changes in staff, we are delighted to announce the arrival of three new guides to complement our stellar safari team: Sylvester Mbaana has joined us from Mfuwe, Noelle DiLorenzo from South Africa and Brent Harris from Kafue National Park. They represent at total of 26 years of combined guiding experience. When adding these years to those of Derek, Patrick, Meyam and Kennedy – we surpass a good 90 years of combined guiding experience. And we are proud of it! In addition to guiding, Noelle will also be our Safari Manager, overseeing both Kaingo and Mwamba, while Brent will be guiding out of Mwamba. The operational team also sees the addition of Sarah Gumbo, as our Senior Chef and Caterer, and Rob Beadel as our Maintenance Manager. Derek and Jules have found in all these dedicated individuals the right tools to assist them in providing our guests with the most unique and authentic bush experience possible, for the 19th consecutive year. 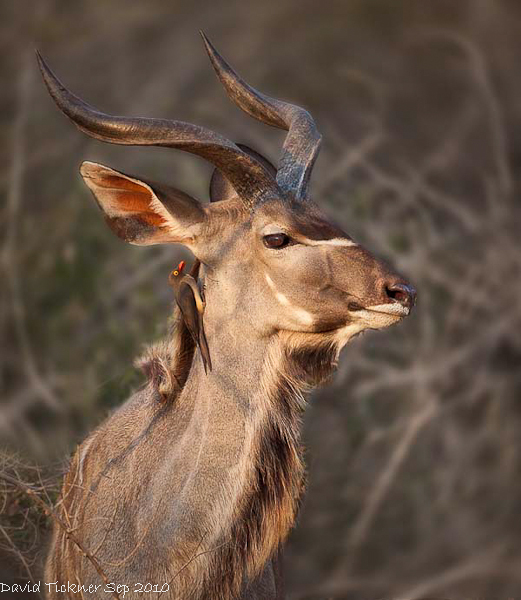 Obliging the initiative of one of our agents, Derek and Jules have happily participated in an “interview” covering their experience as camp owners, parents, conservationists and photographers. You will find Derek’s interview in this newsletter, while we will feature Jules’ interview in our next newsletter which will be out in late June. Now that I am back in camp, there is a lot to cover and a monthly newsletter will keep you well informed of the progress of the season. With a lot of photographs too! We have added three video cameras to our photographic equipment and we hope the guides will bring you lots of interesting footage; along with our new Bushnell camera trap which I reserve for now for the path outside my chalet! I’ve always been curious to see what is walking around at night! Talking about photography, you will find below the March, April, and May selections of Pictures of the Month. Enjoy, and congratulations once more to all our guests for these magnificent pictures. The theme for June is “Birds of Prey”. The selection has been made and will be released soon. Our next themes will be “Luangwa Sunset” for July and “Hoofed” for August. I look forward to receiving more pictures from all our previous guests. 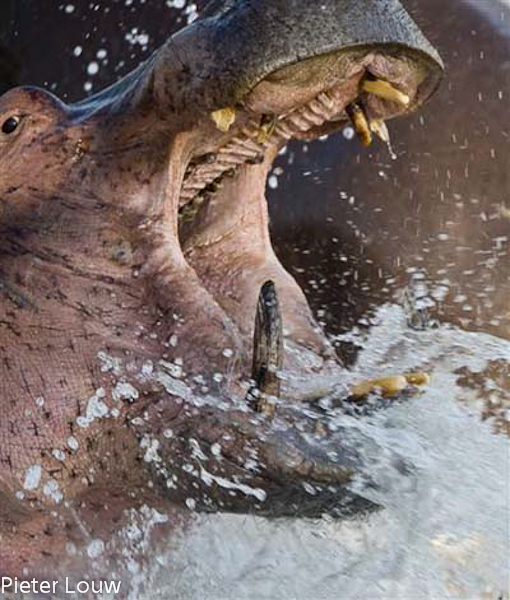 Remember, they must have been taken while on safari at Kaingo and/or Mwamba to be entered in the pool. Finally before closing off this newsletter, I thought it may help our future guests and travelers to South Luangwa to have an update on Proflight’s (Zambian domestic airline) latest baggage allowance policy. I attach here the full policy, as you would find it on their website. Don’t hesitate to contact me with any question in this matter. Make sure to scroll down below to see our Pictures of the Month selections and read Derek’s interview. Last minute addition to the newsletter: last night, we took a few members of staff for what was to be a short game drive after a long day of work. 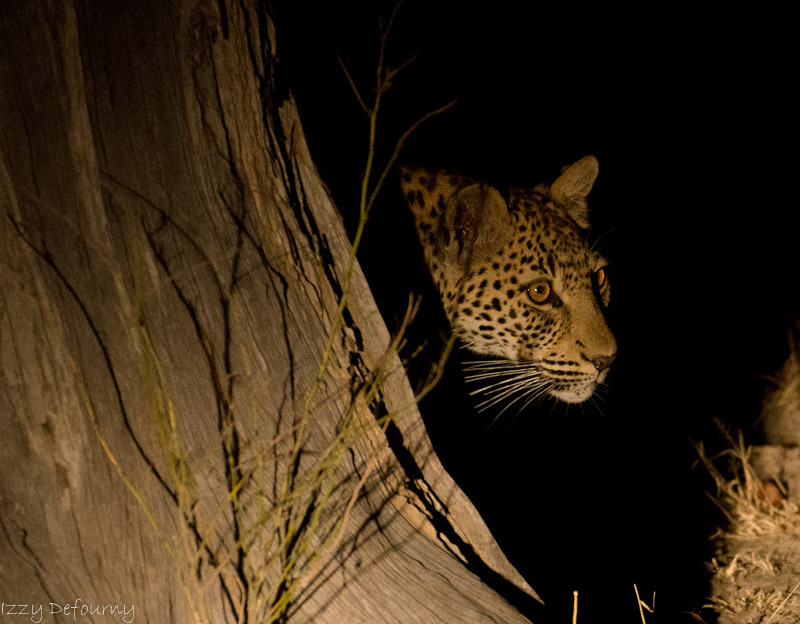 We had such a wonderful sighting of a young male leopard, not far from Kaingo Camp. Not too bad for a first game drive! Cheers to our 2012 season! That is it for me for now. We’ll catch up again later in June! Interview of Derek Shenton – Owner of Shenton Safaris, by Exsus Travel. April 2012. When and how did the idea of having your own safari camp came up? In 1991 I was a freelance guide based in South Luangwa. One of my clients was a representative from a mining company who was thinking of venturing into tourism. The “New Lion Camp” (now Kaingo) was advertised for privatization by the Zambian Government (National Parks). I took this person to see the site and became interested in it myself. After a brief discussion with my father who had built many camps, as ranger in South Luangwa and warden of Kafue, we decided to apply for the tender for this site and began building the next year. Would you say you were influenced by your grandfather and father? Yes very much so. Wildlife and parks were what we grew up with and in; both my father and grandfather had so many bush stories and wildlife was definitely in all of our “blood”. My mother too has always been deeply interested in wildlife; we always had wild pets such as genets, civets, servals, owls, duikers, wild-pigs, a spurwing goose etc in and around the house when growing up. 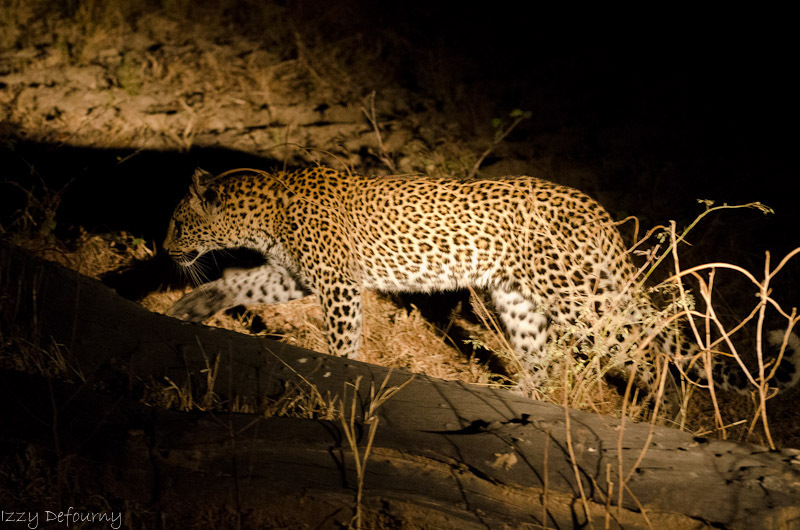 Why did you choose South Luangwa NP for your camps, and why their exact location? I was working in the valley and it was fortunate that the timing and location of this designated site came up for lease when it did. Kaingo was already a designated site and it is located in the most game-rich area of the park with beautiful lagoons, ebony forests and Lion Plain on it doorstep. Six years later I identified the site for our bush camp Mwamba Bush Camp. This area was not being used, and poachers were encroaching upon it so my initial reason for wanting to move in there, was to help protect a larger area of the park through tourism. Mwamba is a beautiful site on the Mwamba River and over the past 12 years has proven itself to be a great sister camp to Kaingo, and is loved by both our many repeat and new guests alike. 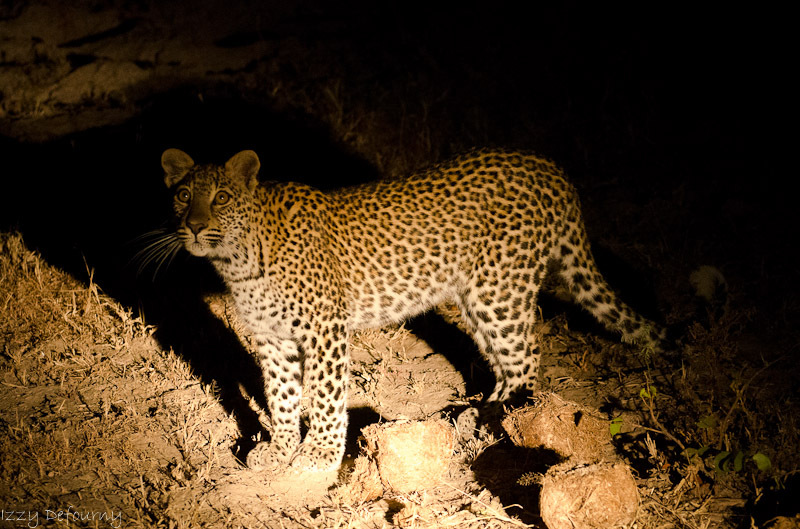 You are very involved with local conservation with the South Luangwa Conservation Society. What is it like to run an anti-poaching patrol? It is both exciting and hard- going when on an anti-poaching patrol; the areas covered are vast and most patrols are on foot. There is a mixture of satisfaction/triumph (for the arrest), pity (for the mostly dirt-poor poachers themselves) and sorrow for the maimed or dead animal when we apprehend. These days my role for SLCS is more of an advisory position as a board member but I also put in a lot of anti-poaching tracks and fire-breaks around our camps. You have been running the camps for almost 20 years, what is still your favourite part of the day in the bush? A tricky question in that I realise that every day in the bush is unique in a way. I love the freshness and possibilities of early mornings, the peacefulness, rhythm and warmth of the midday, the colours of late afternoon and pre-historic sounds of the nighttime. 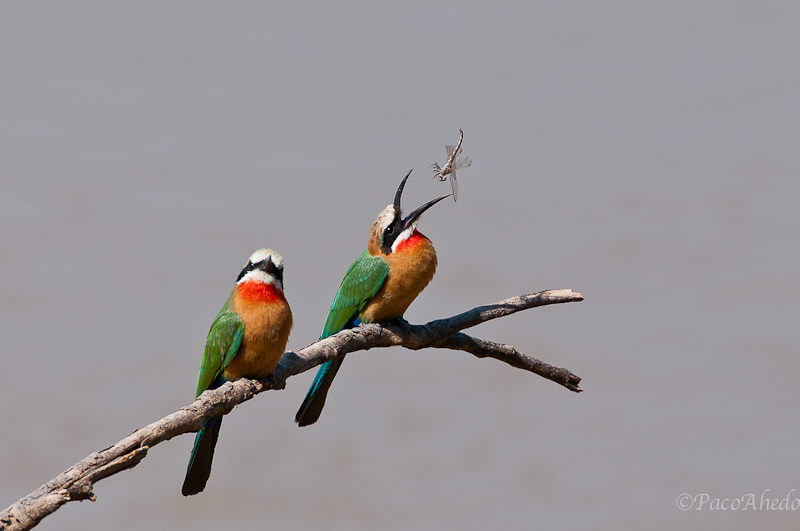 What is your best advice to a first-time safari goer? Enjoy it – it’s like no other holiday. Take a good pair of binoculars, a camera and decent lens, hat or cap and a fleece. A good sense of humour and patience are essential while on activities – don’t expect everything to be like a documentary and avoid wishing too much for unusual sightings or specific cat sightings – you just might put a spell on things! Be acutely aware of all around you – there are always many layers of activity taking place at any moment in time or around any sighting. Be ready for nature’s unexpected thrills – have your camera ready to shoot. If you are taking lots of photos – learn quickly to work your guide to get you in the best position the best angle and light- don’t be afraid to ask the guide to move the vehicle – it’s your moment! What is your favourite animal in the park? Another difficult one – leopard, lion, elephant, buffalo, impala, eland – they are all incredibly awesome and fascinating .I love following animal behaviour in the wild beyond just getting a “glimpse”. Now that you are the father of 2 beautiful daughters, how do you see passing along your passion about wildlife and conservation? It is my privilege to coach my two girls in the ways of the wild; a good start when they are very young I think is to sharpen their senses and awareness of nature all around. I have no doubt they will want to live by earth’s rhythm somewhere when they grow up. For the moment sharing knowledge and wildlife experiences as a family are what it’s all about. Have a look at the wonderful pictures sent to us by our guests. We enter them in our pool, and select a few on a monthly basis, according to specific themes. The ones below were from the months of March, April and May. 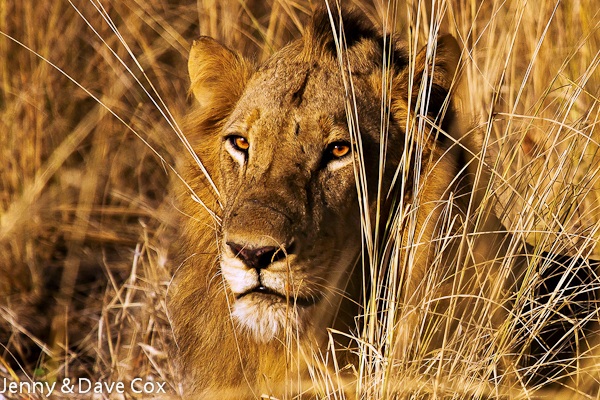 “Almost ten years ago I went on safari for the first time. Immediately I was seduced by the endless spaces, the unique skies, the mysterious sounds of the night, the varied and amazing fauna and the fantastic people of Africa. 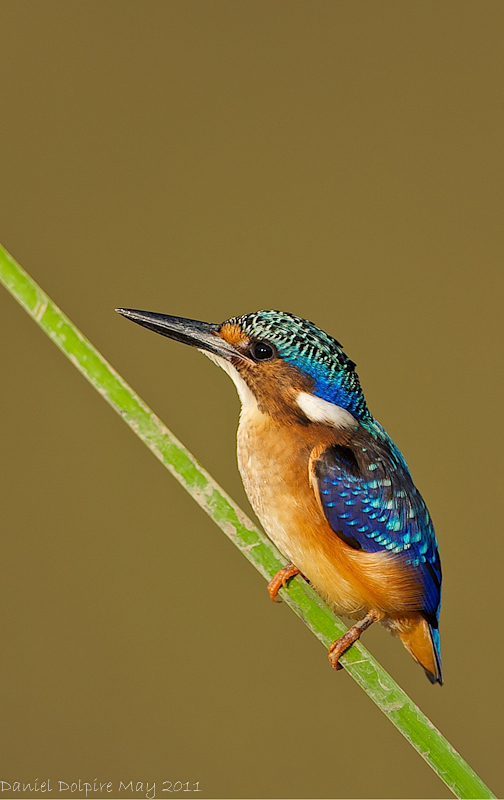 As amateur photographer African Nature is a dream come true and I try to visit the continent once a year. 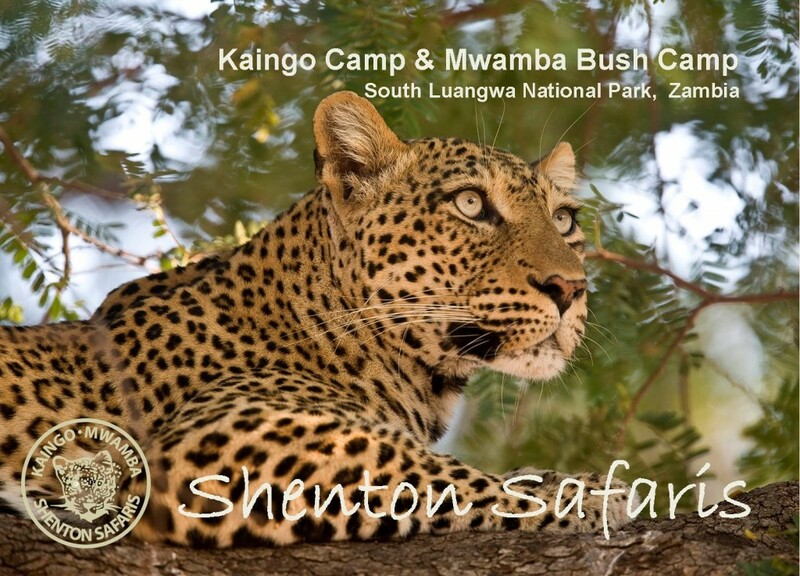 In 2011 I went to Zambia for the first time and choose Kaingo as our base to visit South Luangwa . I was impressed by the amount and variety of wildlife and very pleased with the remote feeling and low volume of visitors of the area. Not only did we see lots of wildlife while on game drives with our amazing guide Patrick but during the mid-day hours from our private veranda we could admire the Luangwa River and his numerous inhabitants, hippos, crocs, elephants, pukus, baboons or birds. Settings: Canon EOS 5D, 1/180sec at f/4.5 Focal 560mm. ISO 100. “I am a young at heart (but old in body!) driving instructor from Gloucester, UK. Together with my wife, Jenny, and son Sam, I first visited Africa over 11 years ago and totally fell in love with the continent. 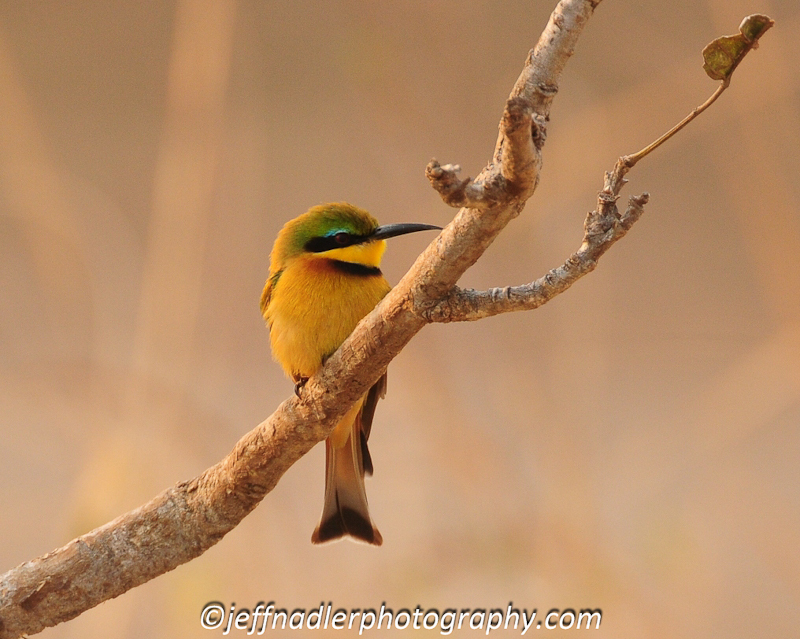 We have travelled quite extensively around Southern Africa but this was our first visit to Zambia. We were drawn to Shenton Safaris by the fact that they were very “photo” orientated and the experiences we had certainly backed this up. Settings: Canon EOS 7D, 1/1000 sec at f/5.6 Focal 340mm. ISO 400. “I came to Kaingo and Mwamba in Aug/Sept 2010 with my son Christopher and we had the most fantastic time photographically. I live in the UK with my wife and half of my family (the other half are in Australia) where we lived for 5 years. Photography fills a large part of my life and over recent years I have been very involved in animal and wildlife photography in many parts of the world. My aim is to try and capture the magic moments of interaction and perhaps emotion between animals which takes the image beyond just being a record shot. Settings: Canon EOS 5D, 1/800 sec at f/4.5 Focal 500mm. ISO 400. “About 5 years ago, I bought my first DSLR and started to get into (amateur) photography fairly seriously. I now travel widely, from Pole to Pole and wherever I can get to in between! Usually I’ll have a ‘photo-agenda’ of some sort, generally wildlife or landscape. Over the years we’ve travelled in Zimbabwe, Kenya, South Africa and Namibia, this was our first time in Zambia. South Luangwa was a very special place to visit, and both Kaingo and Mwamba gave us great experiences, I look forward to the day when we can go back. Settings: Canon EOS 7D, 1/80sec at f/4.0. Focal 24mm. ISO 200. Ian and Sylvia Woods visited us in 2009 and 2010. 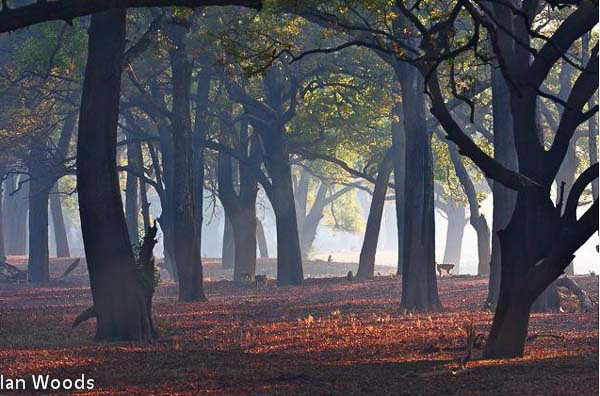 This picture was taken at sunrise, in the beautiful Ebony Grove, home to many baboons. The haze seen here is quite common in the grove, and makes it a really special place. “Photography came to me seriously in 2007 when I had to replace my very physical hobbies with something after spinal surgery. It has given me great joy as I connect with people more closely when I photograph them and for the new views it has taught me to take of the world around me. Settings: Canon 40D, 1/200sec at f/7.1. Focal 60mm. ISO 100.